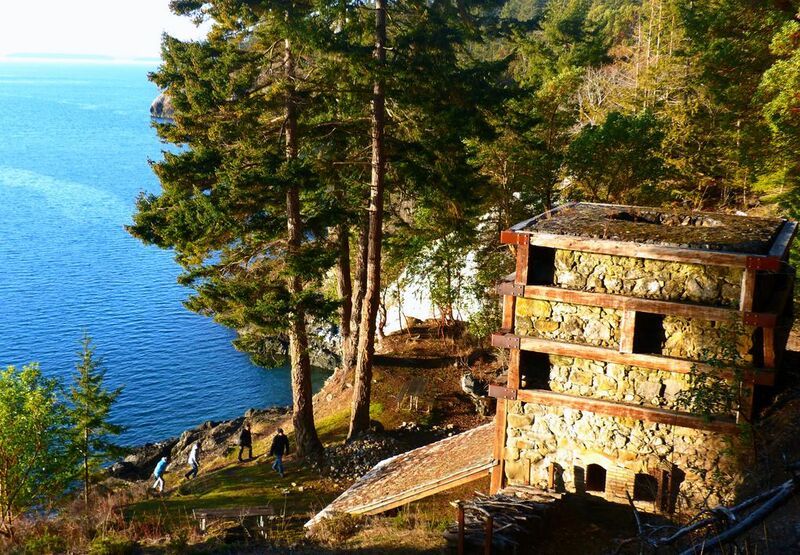 See an orca, hike to a view, climb inside a pineapple, then bathe in John Wayne’s claw-foot tub. 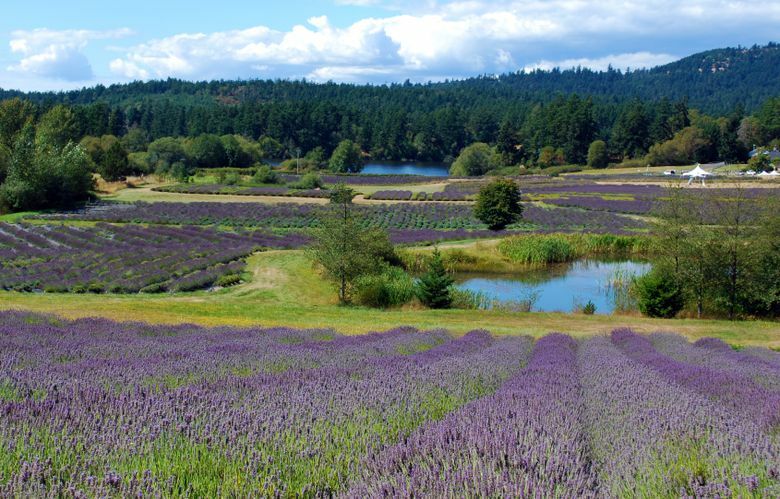 Editor’s note: Know a favorite restaurant, historical site, unique museum or other Northwest attraction worth miles of driving, just for itself? This recurring feature, “Worth the Trip,” spotlights such destinations — along with other pleasant diversions along the way. 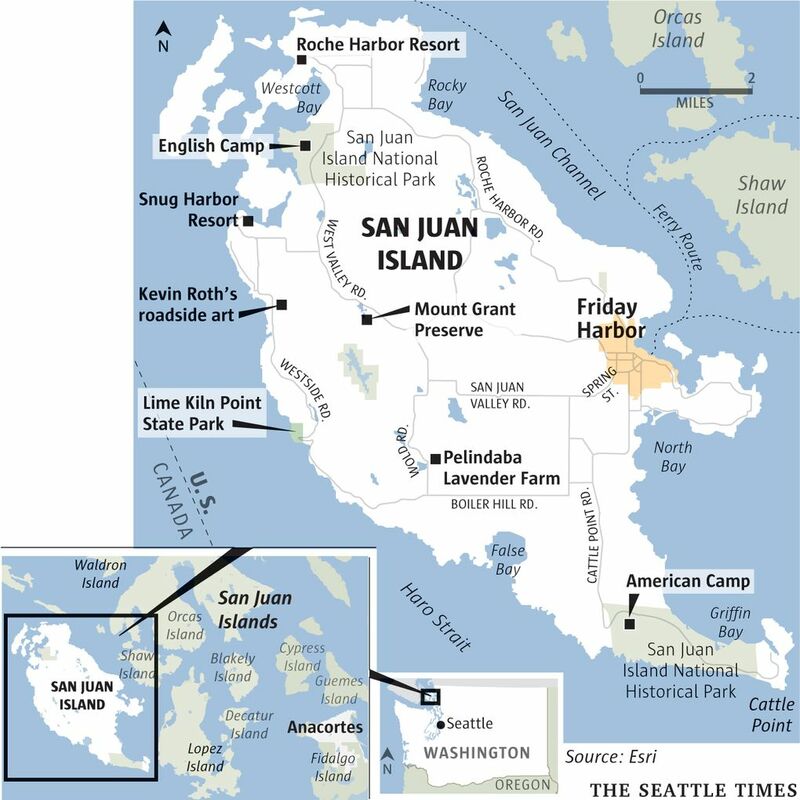 SAN JUAN ISLAND — The first time I went kayaking in the San Juans, no sooner had my guided group launched and paddled out of a cove than an orca swam directly under my sea kayak. Only it wasn’t so much swimming as barreling like an amphibious freight train — a freight train tagged with black and white spray-paint, maybe. This was more what I’d call whale glimpsing than whale watching. But it got the adrenaline pumping, I tell you. We were at Smallpox Bay, said to have gotten its name from the Native Americans who dived into the cold waters to quell the disease’s fever. On the west side of San Juan Island, the bay edges Haro Strait, home turf for the three southern-resident orca pods that have become a favorite of whale watchers who come from around the world. Our kayak group hadn’t deliberately broken any rules about approaching whales. We just poked our noses out beyond the point and, whoops, we were in the middle of a passing pod. The endangered subspecies, numbering fewer than 80, had a tough winter this year with the death of several whales, including the matriarch known as Granny, who was believed to be in the range of 100 years old. It’s a blow to their highly structured society, where pods are extended families containing maternal groups and their offspring. Some family units have as many as four generations traveling, feeding and socializing together. Some islanders are resignedly saying it’s time to come see the whales while you still can, as threats to their well-being keep piling up. During my recent visit, whale lovers gathered on the shores of Haro Strait to protest the expected sevenfold increase in the strait’s tanker traffic that will result from expansion of a Canadian pipeline to carry Alberta oil. You can get an idea of how oil tankers affect the whales if you visit Lime Kiln Point State Park, a famed whale-watching spot on Haro Strait. There, you can listen to sounds captured by a hydrophone — an underwater microphone — recently installed by Friday Harbor’s Whale Museum, which has operated a research station at the park since 1983. If a tanker is passing, you can hear what one whale advocate describes as the “thunder” an orca perceives from the engine noises. 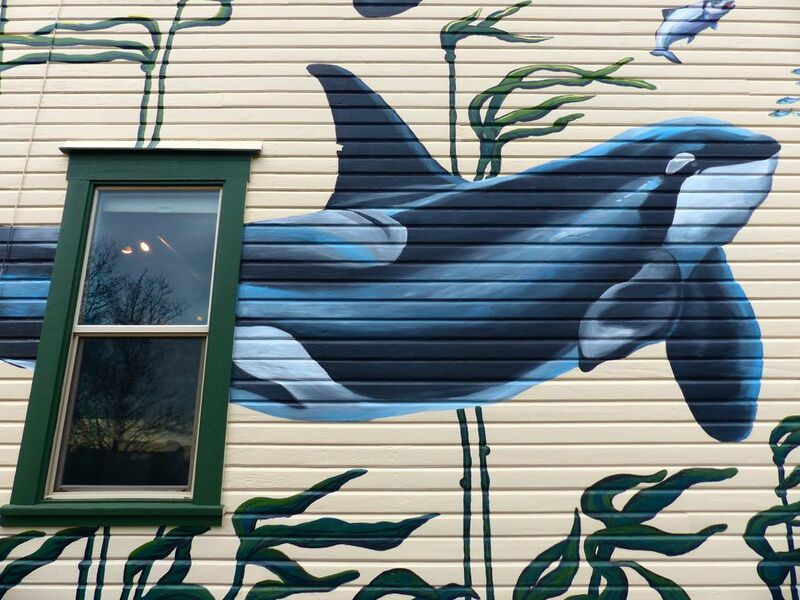 The noise affects the whales’ ability to communicate and to read underwater surfaces through echolocation, I learned in a visit to the Whale Museum’s headquarters, an 1892 building decorated on the outside with a dazzling new mural of swimming orcas, painted last summer. It’s at 62 First St. in downtown Friday Harbor. 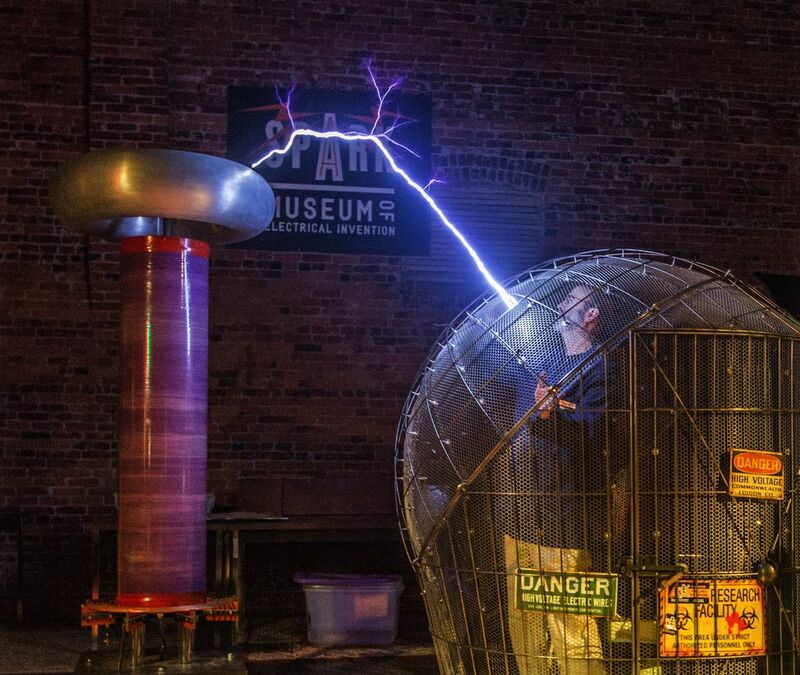 Experience the MegaZapper at Bellingham's Spark Museum. Enjoy vast views and island history at Ebey's Landing. Spy San Juan whales and sample what's new. So they become either the loudmouth with a strained voice, or the wallflower who misses out on snacks and socializing. If you’re lucky you’ll get a glimpse of an orca or two from Lime Kiln park, as late spring (and through September) often finds them along this favorite coastline where currents help funnel salmon — their favorite food — up along the edge of the island from the Strait of Juan de Fuca. A Whale Museum database, kept since 1976, says J Pod whales were seen in inland waters on at least 12 days this March. Some passed close to Lime Kiln Point on two occasions while traveling north. A humpback whale visited the Lime Kiln area on March 30. The park is a beautiful spot for a hike in any season. I was there on a clear, cold day and enjoyed an amble along rocky waterfront paths beneath spider-limbed red madrona trees as the sun glinted off the water. It’s interesting to explore around the 1919-vintage lighthouse and a restored 19th-century lime kiln, a reminder of when a major island export was lime, made from limestone, a sedimentary rock formed by the consolidation of marine invertebrate skeletons. Square-rigger ships once docked in a cove here to load lime for transport to Seattle, Vancouver and beyond, where it was used in making steel, plaster, cement and paper for a growing world. As if cued by a Broadway director, a swimming orca appeared from around a rocky point. Then more. Tall, 6-foot dorsals on big males. A young one with its mother. It was a superpod — a rare occasion when all three southern-resident orca pods got together for a party. It took 45 minutes for the whales to pass. Some came within 10 feet of shore, weaving through floating islands of bull kelp. One breached clear of the water in an Olympic-worthy finale. You don’t get that every time you visit the islands. But anytime you see these intriguing, highly social marine mammals, it’s worth the trip. Some call it the Mount Constitution of San Juan Island. That’s a stretch — it doesn’t have the aerielike prominence of Orcas’ 2,400-foot high point. But the views of Mount Baker, Mount Rainier, Glacier Peak and Haro Strait are pretty special for an island that doesn’t seem that hilly. 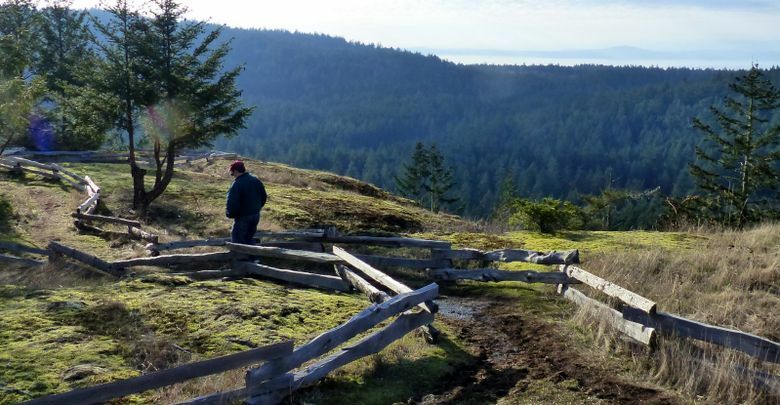 Preservationists have gotten a nice start at developing trails and picnic tables on the 140-acre site, which includes diverse forest and grassy balds with spring wildflowers such as Henderson’s shooting star and fawn lily. Hike to the top, or drive up a narrow road on occasions when stewards open it to the public. More information: sjpt.org/mountgrant. • San Juan Island National Historical Park: See the old military camps where the English and Americans “fought” what came to be known as the Pig War (a British hog rooting in an American’s garden being the only casualty). The Pig War is remembered mostly for its peaceful resolution, with arbitration winning out over bloodshed. 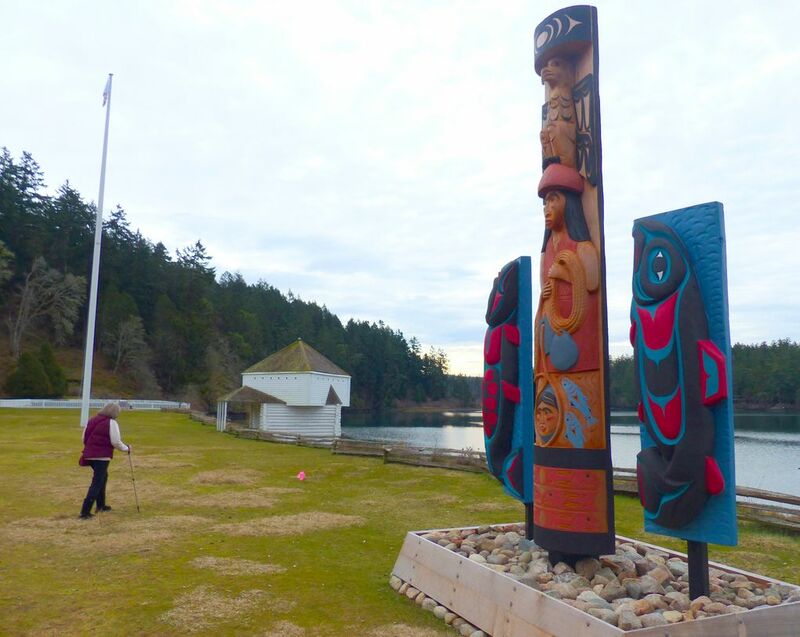 At English Camp see the new totem pole depicting traditional reef net fishing, straddled by two salmon story boards. The Lummi and Saanich tribes erected them last August on the shore of Garrison Bay to mark the site of a historic Coast Salish village and celebrate the National Park Service’s centennial. • New dining: It’s hard to miss the Downriggers restaurant that opened in November on the Friday Harbor waterfront. The handsome, spacious new eatery overlooking the marina and ferry dock (with outdoor dining in warmer months) replaces a longtime restaurant of the same name that burned in 2013. The eclectic menu ranges from crab tater tots ($14) to a bone-in rib-eye “Cowboy Steak” ($38). 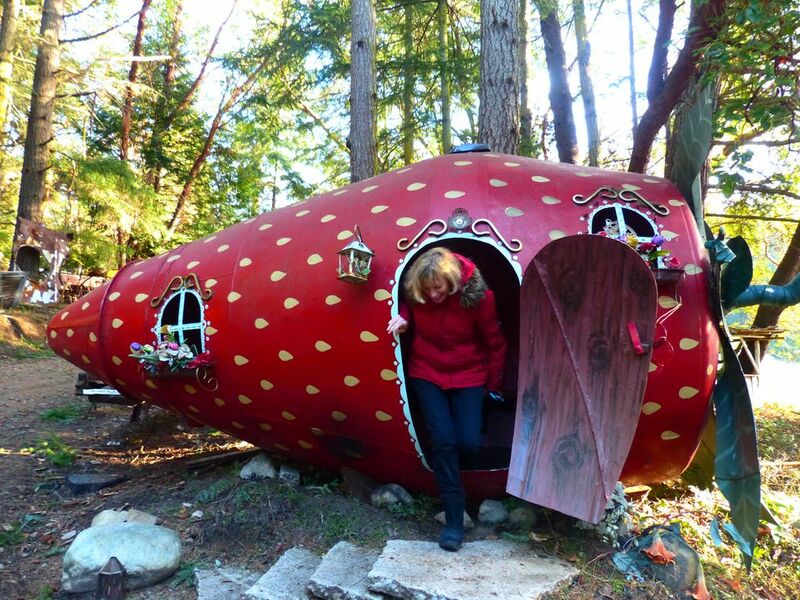 • Snug Harbor makeover: The transformation is complete at Snug Harbor Resort, hidden away on a hillside above tiny Mitchell Bay on the island’s west side. 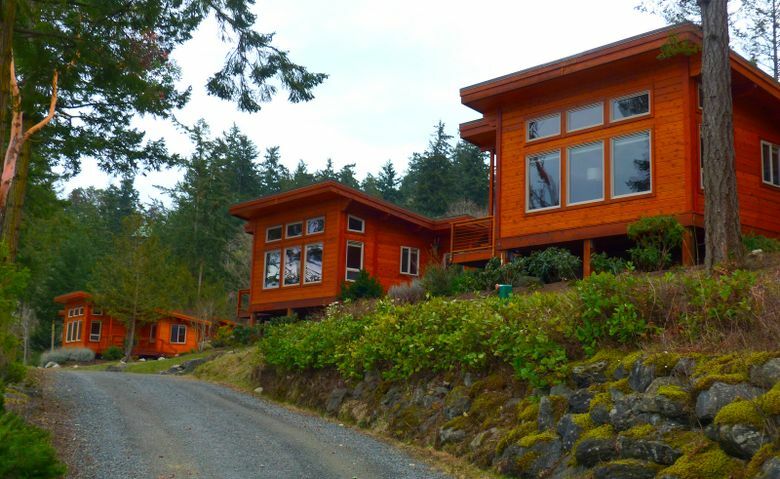 Over the past couple of years, brand-new stained-cedar cabins have replaced old prefab cabins from the 1950s, and it looks like a whole new resort was beamed in from another planet. • Hotel de Haro updates: The state of Washington’s oldest continually operating hotel, at Roche Harbor Resort, last year made updates to its 19 rooms, including the John Wayne Suite, named for the actor who visited regularly. The suite incorporates in its bathroom the extra-long claw-foot tub from Wayne’s yacht. So, pilgrim, you can clean up just like The Duke.